You can rest assured that when you order supplements from ITG you are receiving a top quality, professional-grade nutritional supplement formulated and manufactured according to a "Science First" approach. 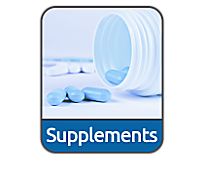 All of our private label supplements are a pharmaceutical grade level that are only sold through Health Care professionals and are manufactured by major US Supplement Manufacturers. Our manufacturers fully guarantee that our products are produced utilizing the highest standards of manufacturing. Each product is evaluated and monitored for quality throughout the manufacturing process.